Place your order in 15 seconds, grab your lunch in 15 minutes. Rocket Luncher rolls out one-tap payments from Straal. Straal – an everything-payments one-stop-shop for online and omnichannel merchants – announced today that Rocket Luncher – a go-to lunch ordering app for busy white-collar workers – selected its one-tap payments and comprehensive suite of optimization, analytical and fraud prevention tools to fuel the innovative food-at-work experience. As a result of implementing Straal solutions, Rocket Luncher has reduced the ordering process down to 15 seconds. Rocket Luncher is an app designed specifically for busy white-collar workers who – while between meetings and scheduled tasks – sometimes cannot spare an hour or so to have lunch in their nearby restaurant, or just prefer to eat in their office’s dining room. With speed and simplicity at its core, the Rocket Luncher app enables placing and paying for orders in stunning 15 seconds. The food is then delivered right to the customer’s office reception in around 15 minutes. This makes Rocker Luncher probably the fastest food delivery app on the market. Thanks to Straal, the app’s users pay for their orders with a single tap. All they need to do is just save their credit or debit card details on file, which takes up to 1 minute, and never again worry about spending another second on transaction-related hassle. Since Rocket Luncher’s mission is to make food ordering truly seamless and time-efficient, Straal’s one-tap payments play a key role in building up the competitive advantage of its product. Since Straal encompasses an array of supportive features, Rocket Luncher is ready to boldly expand their field of operations with maximum cost effectiveness and reliability. Analytics provided by the Straal Kompas management panel help the client track and control all the key payment-related indicators in real time, even during the lunch rush. Smart optimization mechanisms, on the other hand, maximize the transaction approval rate, minimize the payment processing costs, and thus boost the company’s revenue. Rocket Luncher is expanding to new office centers across Warsaw. The capital of Poland is one of the major office hubs for Central and Eastern Europe. Considering that nearly 70% of white-collar workers fit the Rocket Luncher’s target user profile, the platform has plenty of growth opportunities in its domestic market. Given that the global food delivery market is growing by an average of 20% annually, the app may quickly win over the hearts and wallets of office workers. Rocket Luncher has started as a bright idea that identified the realm of yet unexplored business opportunities of the food-at-work industry. At Straal, not only do we value such disruptive businesses, but are eager to be at the center of the outside-the-box philosophy they bring – said Agnieszka Kamola, CCO, Straal. Our goal is to equip ambitious initiatives, like Rocket Luncher, with the right tools to efficiently accept payments, and by doing so, empower their growth. 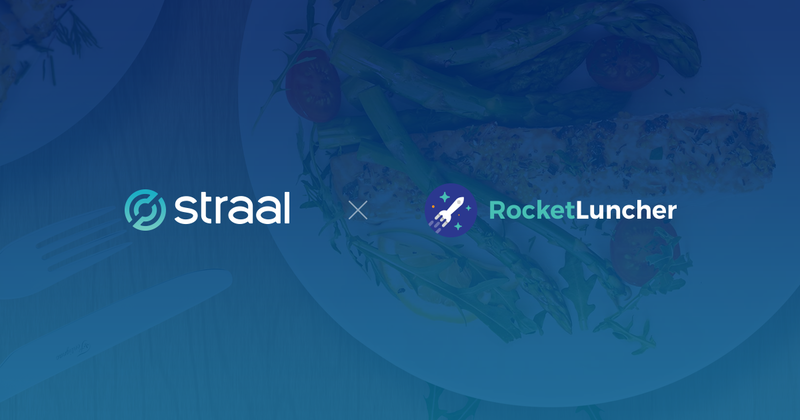 Rocket Luncher’s founders agree that strategic partnership with Straal has already helped them capture the essence of their product, without sacrificing the flexibility. As a young start-up, we evolve dynamically and constantly improve our app. We chose Straal as our payment provider because we wanted an adaptable partner that will keep up with our pace, and match the ever-changing nature of our needs. – said Marcin Krzemień, CEO, Rocket Luncher. Rocket Luncher is available in a growing number of office centers via a mobile application for iOS and Android devices. From October 1st, 2019, online merchants accepting Visa cards will have to comply with stricter anti-fraud regulations. Monthly compliance thresholds will be lowered from 1% to 0.9%, which will affect all entities accepting Visa cards, especially companies from high-risk industries. CEO of Straal and CEO of Nethone join forces to explain what consequences the new regulations might bring in. Nearly 70% of citizens in large Polish cities are familiar with car sharing. Mobility as a Service Report publication. Nearly 70% of citizens in large Polish cities are familiar with car sharing, yet few of them have actually used it. Bike sharing, taxi apps and ride hailing are in the lead. Plenty of challenges for MaaS companies, but even more room for growth. Straal – an everything-payments one-stop-shop for online and omnichannel merchants – has announced today that Blinkee.city – the first Polish network of shared electric scooters – selected its comprehensive suite of payment, optimization and analytical tools. In accordance with the newly-signed contract, Straal provides Blinkee.city with its smart payment gateway and a set of business performance enhancement tools: Straal Kompas Management & Analytics, and custom optimization algorithms. Straal - an everything-payments one-stop shop for online and omnichannel merchants – has welcomed two top-class executives with significant experience earned in the fintech sector to its executive leadership team. Tomasz Otto was appointed Chief Operating Officer in early June, whereas Tomasz Kobylarz joined Straal as the VP of Engineering at the beginning of July. The strengthening of the leadership team was prompted by Straal’s ambitious development plans.